The exposition gets the reader interested in the story. 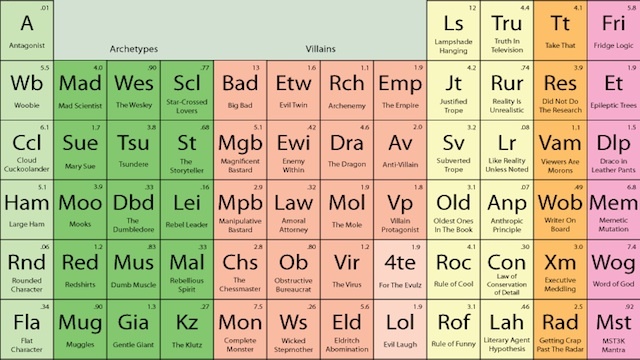 It tells where the action is taking place, who the main characters are and what is the problem they face. Eg. Lord of the Rings - At the start of the book, Gandalf the wizard is aware of the power of the ring which Frodo has inherited from his Uncle Bilbo and advises him to take it away from the Shire. The rising action section tells the reader more detail about the characters. The events become more interesting or exciting, especially because the reader now feels like they know the characters. Eg. Lord of the Rings - As Frodo travels, his friend and cousins want to come with him. This adds more characters to the story and as they travel, they face many obstacles which adds interest and depth. The climax of the story is the turning point of the story; the moment when the ultimate suspense reaches its peak. The climax is the problem of the story. The story's problem is solved in the climax. Eg. Lord of the Rings - Frodo finally destroying the ring is the climax as Gollum bites the ring from Frodo's finger and falls into the pit. The falling action part of the story is what brings the story to a satisfying end. 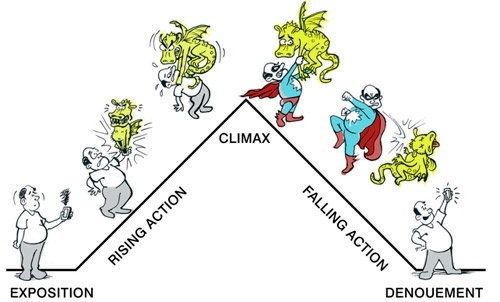 The characters need to move from the situation where the climax was reached and begin their new life or return to their existing life free from the problem. Frodo cannot be left at the top of the volcano staring into the pit. He somehow needs to get home safely. The denouement (day-noo-mon) is the final outcome of the story. In this section, this is where all the secrets are revealed. Some writers like to save the juiciest details of the story to reveal at the end to keep the reader reading. Eg. Lord of the Rings - The four hobbits return to Rivendell then Hobbiton and live happy lives. However, Frodo's spirit and well-being is permanently damaged from carrying the ring for so long. If you've finished your work, do this puzzle.